Mother's Day is on Sunday 6th March and is always celebrated in my family. I believe it's important to use the day to remind your mother that she is appreciated, especially as sometimes it's easy to forget to say it. As children, my sister and i would make my mum cards, bake a cake and wake her up at an ungodly hour to present her with breakfast in bed. 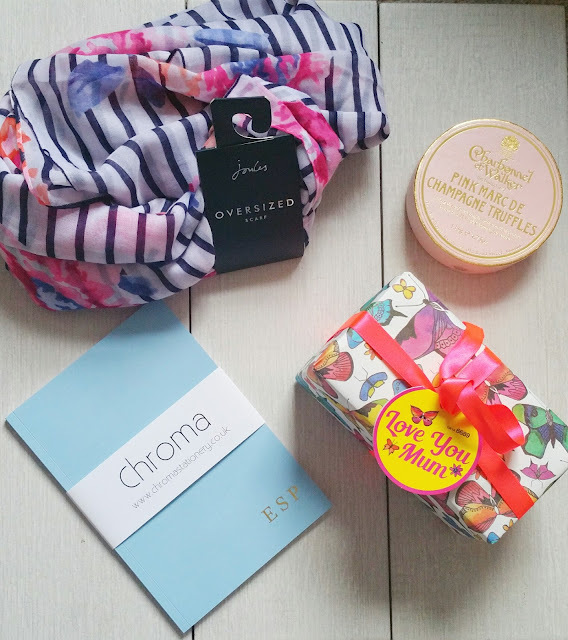 Mother's Day was and still is, a opportunity to shower her with gifts whilst she put her feet up for the day. 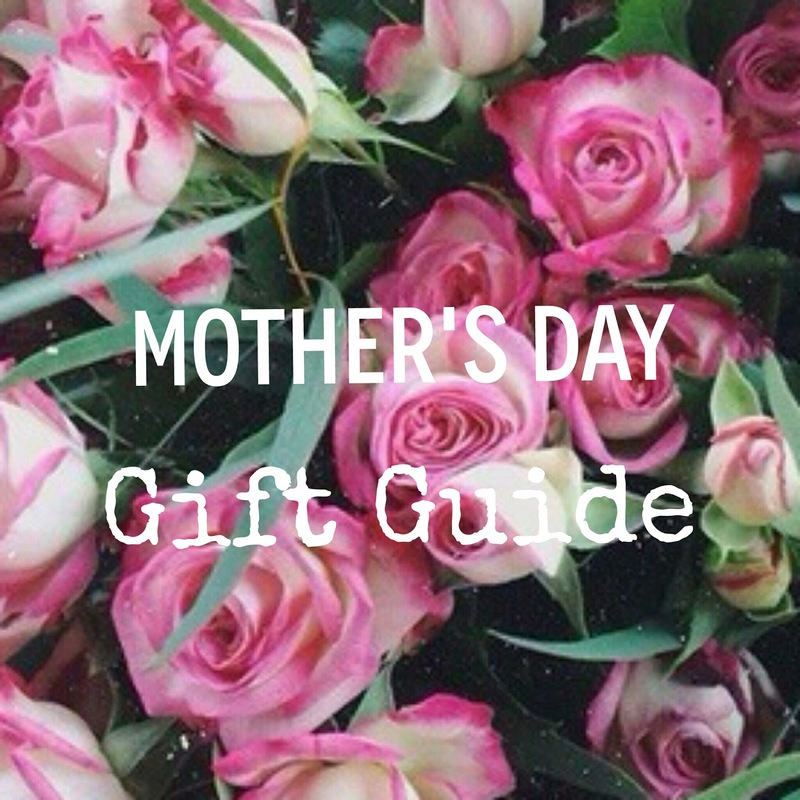 Picking gifts for my mum is usually hard. My mum is in her 50's and has surely received every gift imaginable, however with the wide range of online stores/boutiques available, i have made my laptop my best friend and browsed for great finds. I thought I'd share them with you but don't worry, there's no spoilers as I've forbidden my mum from visiting my blog until Sunday. 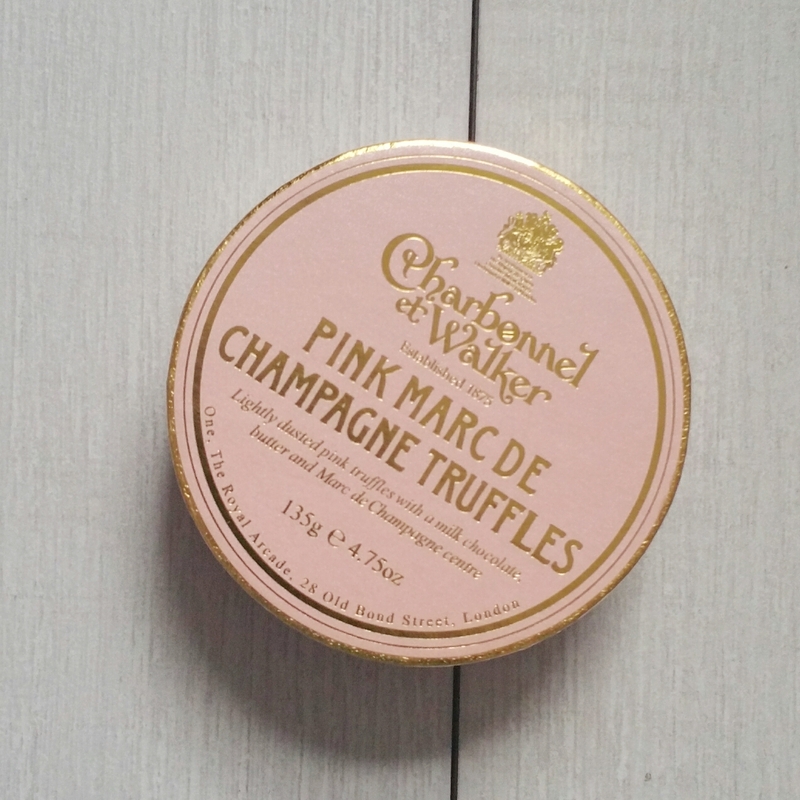 As you are all aware by now, i am a total Lush junkie, so i had to feature them in my mum's gift haul. My mum deserves pampering and whilst my budget doesn't quite extend to a luxurious spa day, this is the next best thing. It contains a Rose Bombshell bath bomb and French Kiss bubble bar. I love stationery and i love personalised gifts, so when Chroma Stationery asked me to review one of their notebooks, I said yes immediately. I kept it simple and had my Mum's initials embossed on. Not only is it especially cute but practical as I know it will be used often. 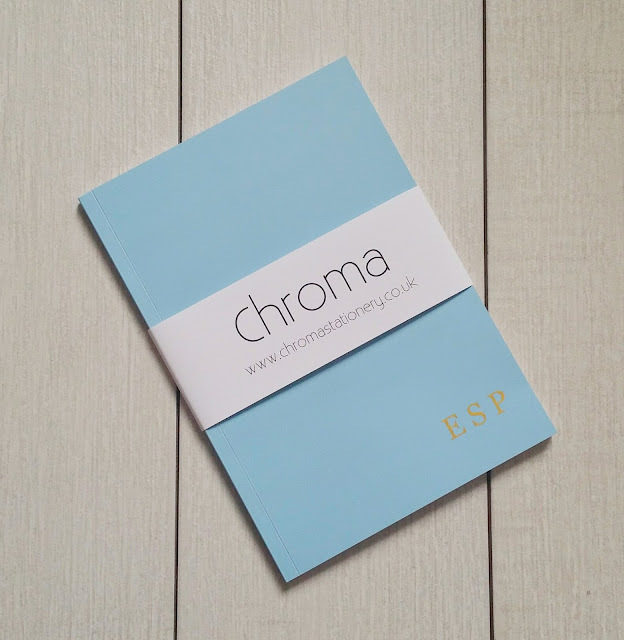 Chroma Stationery offer two notebook sizes to pick from, A5 and A4, with plenty of colours to select. You can have almost anything printed on them. If you need some inspiration for a design, check out their Instagram and Twitter page. They also sell personalised pens, pencils and pencil cases. To celebrate Mother's Day, Chroma Stationary are offering a special Mother's Day 15% discount with the code MTHRDY1 which is valid until the 5th March. Roses? Milk Tray? Not for mummy this year, check out these luxurious truffles. Not only is the packaging beautiful, these chocolates are absolutely divine. The kind of chocolate where you sit and savour it slowly. Joules is becoming one of my favourite shops at the moment. I love their quirky takes on classic British designs and they offer many gifting options.An over-sized scarf makes the perfect present as it's multi-functional. Shawl, sarong and scarf of course, it's a great gift to be used throughout the year and will be perfect for her travels. This little haul is what I got my amazing, dedicated, loving mum for Mother's Day this year. She has one more present awaiting her but I won't mention it just in case she has cracked and read the post. 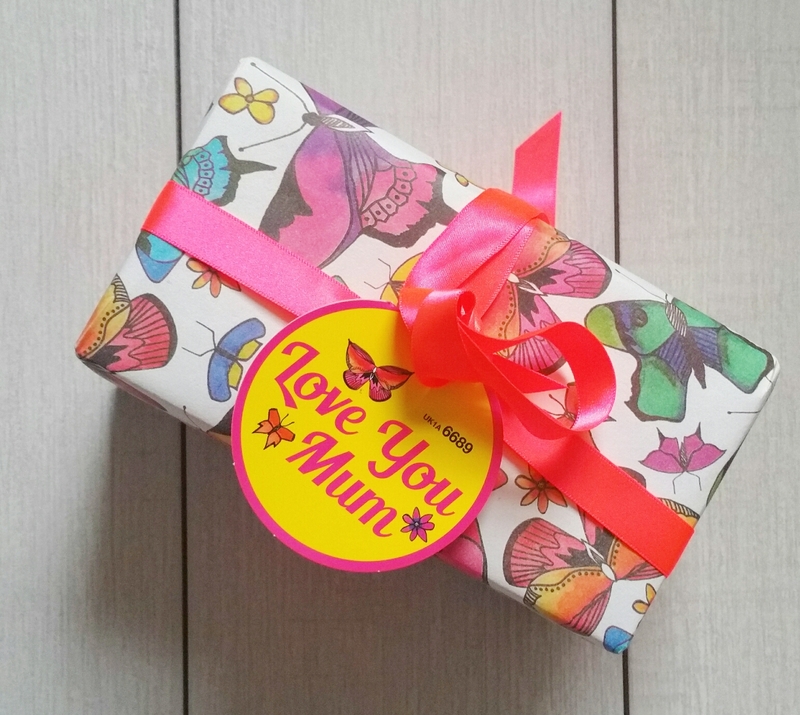 What have you got your mum this year? Do you have any previous presents/cards that you especially hold dear? What a lovely guide! Lush is always my go-to place to buy gifts. Love the notebook, especially as it's personalised! Love the notebooks a lot. Great gift ideas here. Ooooohhhh great selection. I generally get my mum candles or a new mug, however I think this year I'll get her flowers, as she's well stocked up on candles from Christmas still. I love that Lush have launched a Mothers Day set and yes I am a huge fan of Lush too it is the best! These are super cute ideas. 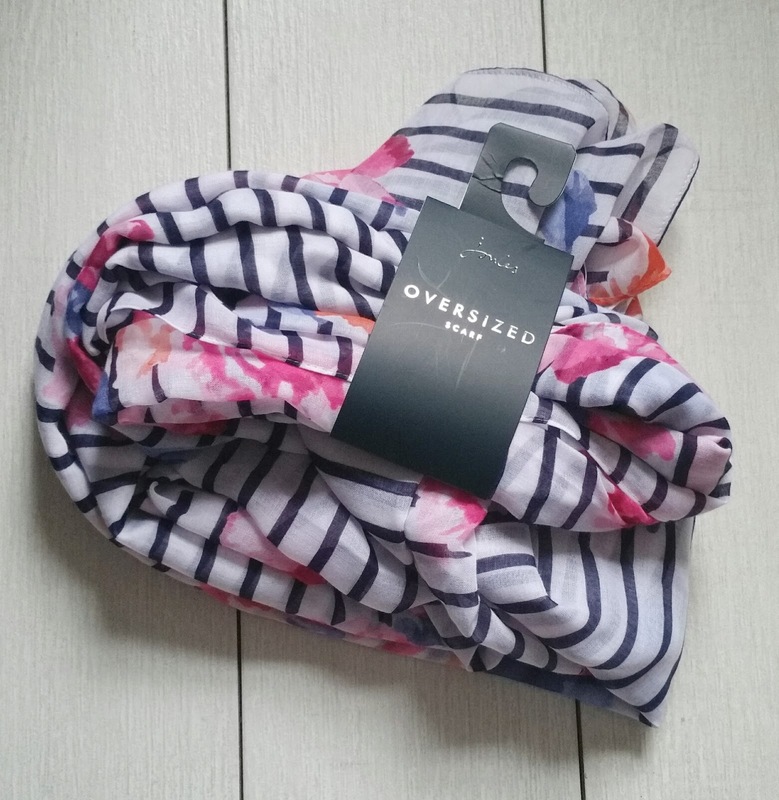 I am so loving scarves these days, so I could totally go for that one. Some great gift ideas here. I'd just like a day where I'm not shouted at, to be honest! I don't ask for much, lol! Great ideas. I love the iea of getting something personalised. Then I can suit it to mums tastes. Lots of nice choices here. When it comes to my mum, I can never go wrong with smellies and flowers. I love Chroma stationery! I think their personalised notebooks look so professional :) I hope your mum enjoys these goodies! I love personalised things! Checking out Chroma now thank you! Love the scarf! I would love to receive a gift like this. Fab choice.